Spectroscopic ellipsometry is a powerful technique to characterize the thickness and optical constants of complex ferroelectric stacks with high accuracy and precision. 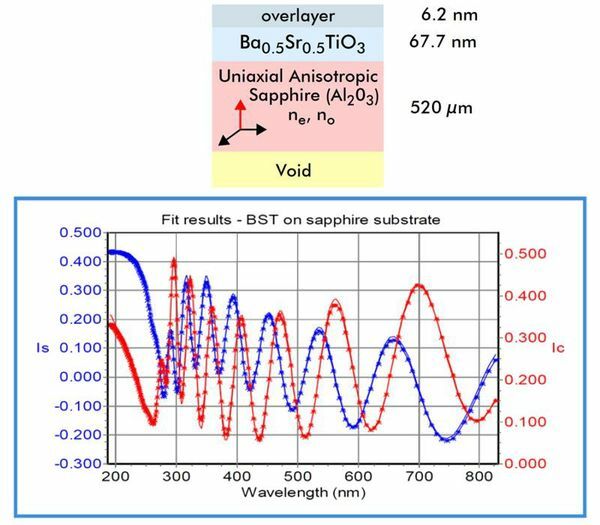 Specific modelling features in this study include the characterization of the anisotropic sapphire substrate, rough overlayer and layer inhomogeneity with depth. 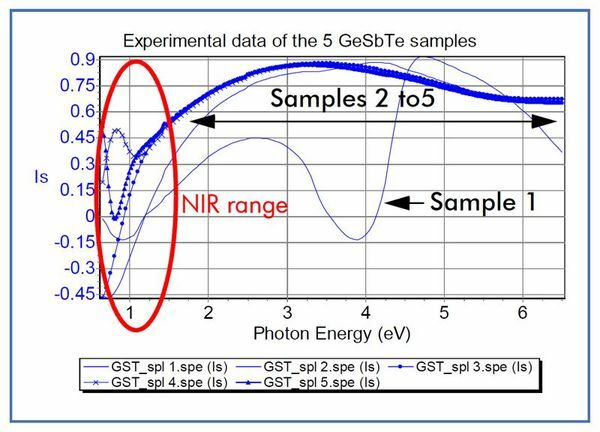 Spectroscopic ellipsometry is a powerful technique for high accuracy characterization of the thickness and optical constants of GeSbTe multilayer system for rewritable optical disc applications. It was shown that measurement in the NIR range gives better accuracy for the analysis of these types of material. The use of the multiple sample analysis reduces parameter correlations and errors for the thinnest layers. Owing to the advanced modeling features included in the DeltaPsi2 software, it is a straightforward procedure to analyze such structures even with layers deposited on both sides of the substrate.